Do you like Green Eggs & Ham? 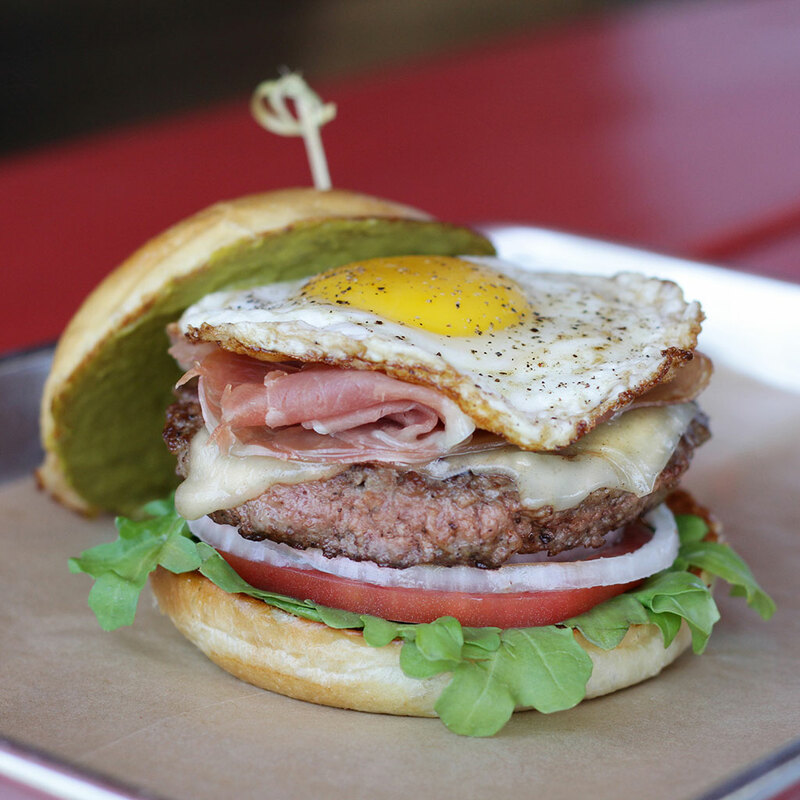 When they’re on a burger from Austin-based Hopdoddy Burger Bar, you’d better believe you do. Hopdoddy is known across Texas and beyond for their stellar burgers, made with beef ground in-house, buns made from scratch, and always-creative toppings, from the pork belly-kimchi “K Town Belly” to the “Magic Shroom,” with field mushrooms, basil pesto, and Texas goat cheese. But their March special, the “Green Eggs and Ham,” is one for the ages — prosciutto, egg, green salsa verde, and lots more. Ham on a hamburger? With a runny fried egg to boot? Don’t mind if we do. The bread: Hopdoddy’s house-made egg bun. The filling: Start with the burger bar’s Angus patty, with melted Manchego on top. Add tomato, onion, and an arugula salad. Then the starring ingredients: a soft pile of prosciutto, a fried egg, and a bright green salsa verde.